IT'S THE CAPED CRUSADERS! WHAT ARE YOU BOTH DOING IN MY CAR? 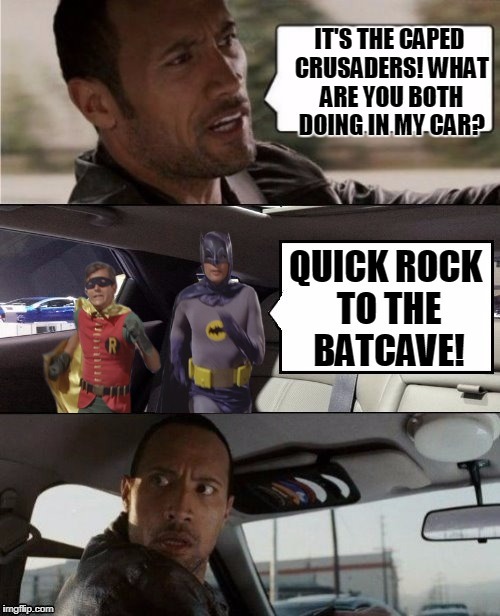 QUICK ROCK TO THE BATCAVE!